Explore Olin-Turville's geological, social, and architectural history. Examine various ideas for Olin-Turville's future. Friends of Olin-Turville (FOOT) was established in 2010 through the joint efforts of the Bay Creek Neighborhood Association and the South Madison Police District. The organization's goals are to preserve and improve the parks' facilities and landscapes and encourage the community to rediscover the beauty and unique offerings of these two historic parks. The idea is based on the success of groups like Friends of the Arboretum. For a more complete history of the organization's inception and early activities, go to this December, 2010 City of Madison news release. 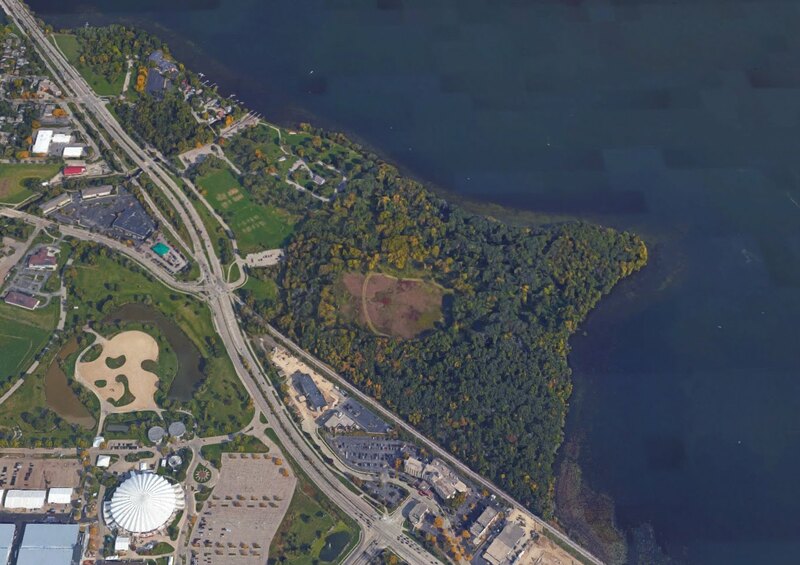 Located on the shores of Lake Monona, with stunning Capitol views, Olin and Turville Parks together form one of Madison's most beautiful, accessible natural assets. Facilities in these two parks accommodate a broad range of outdoor activities, from the quietest to the most active. Olin Park has a public boat launch, beach, soccer field, playground equipment, a restored historic pavilion that can be reserved, and trails for walking, jogging, and biking. Adjacent Turville Conservation Park is a quiet, wooded preserve where you can retreat into a contemplative nature walk or a moon-lit cross-country ski tour. Be sure to visit us on Facebook too!